We took a cruise to ALASKA at the end of August and it was AMAZING! We cruised to Ketchikan, Juneau, Skagway and Victoria, Canada. Please click below to see a slideshow. One morning we awoke in the wee hours to go up on deck to view our passing through a fjord. I was truly amazed of the beauty and the stillness of the fjord. Please click to see the slideshow. Whale Watching and Eagle Sightings were a delight to witness. Please click on the circles to enlarge the photos. Glaciers were a beautiful sight along with waterfalls. When in Skagway we took the wilderness train to Canada. Once again I was in awe over the vast beauty of this state. This cruise was simply amazing and I would highly recommend it. The State of Alaska has an abundance of beauty! Oh, Alaska! I love this post! Your photos are amazing. Our trip to Alaska two years ago was unforgettable. If it wasn’t so far from home I would return in a heartbeat! Meeeee tooooo! I would return in a heartbeat is what I have said to many people. By the way… when I was in Alaska… I thought of your posts that you shared of Alaska. They were fabulous. Thank You So Much for enjoying Alaska with me all over again! I’m so glad you enjoyed my Alaska posts. It’s been two years since we returned from Alaska and I still think about it almost every day! And I have bored many people with tales of our adventures! I always say… if there is a will there is a way! HA HA HA HA I am glad you enjoyed this post. I would go back to Alaska in a heartbeat! Hope you can get to go. Wow! So beautiful. What a great adventure. It really was. I loved every minute of it! Princess Cruise Line. We have cruised with Princess several times. Very happy with them. I will say… MAKE SURE you do the Train in Skagway. That was breathtaking! Looks like you had a wonderful cruise – and beautiful weather! I’d love to go back to Alaska. What a wonderful place. Our weather was perfect. Just needed a fleece jacket. I will go back one day! Wonderful images in these galleries. It looks like a great trip. THANK YOU! It was and thank you for your kind words. That makes me very proud as you are quite the photographer! It was an amazing place to visit. Wow! Looks and sounds like a fabulous trip. I bet that camera shutter was a clicking away! I used up almost two memory cards! We did once by the Norwegian Cruise. The weather was perfect. Think about Early September even late August. It was cool enough to hike and just needed a fleece! Make it a must! LOVED IT! Thanks, Nancy! It will be a must, for sure! Woo hoo you’ve been some great places! We have and the fun has just begun! Beautiful pictures Nancy!! 🙂 And Alaska , it’s definitely magnificent!!! Thank you Clare! After you are all done with Australia! Such a fantastic untamed state. Absolutely beautiful place and photos. Thank you for stopping by! It is an untamed state… Well put! The iceberg photo is stunning. 🙂 Alaska is on my husband’s bucket list. I’m going to share your post with him. Was this a river cruise with the train ride an option? This was a cruise with the Princess Cruise Line. Not a river cruise. That big huge ship can go through those narrow fjords. It was a fabulous way to see Alaska! Yes, the train ride was an excursion. I highly recommend the cruise and that train ride excursion. Thank you so much for enjoying this post! That photo was a fun one to take! Alaska is beautiful. The weather very unpredictable though, we had bad weather during our cruise. I imagine with better seas and skies it’s even more lovely. I am so sad for you. The weather can be unpredictable. What time of year did you go? Add these remarkable photos to the ones I have seen this past summer and Alaska is clearly a must see destination. Astounding images Nancy. Thank you so much sweet Sue! Wow-photos. I have never seen Icebergs, although I live in Finland. Wow! Those are beautiful sceneries and I can only imagine how they look in real life. Thank you for visiting! The beautiful sceneries were AMAZING! 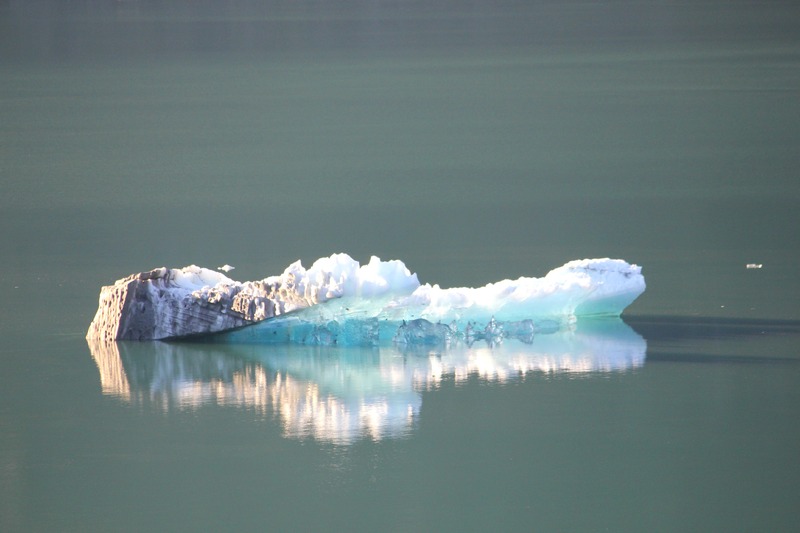 Love the photos….my wife and I keep talking about doing an Alaska cruise….it’s on our list!! The scenery is so incredible!! Thanks for sharing!! Kirt… Make it a must. We went end of August and the weather was perfect! Thank you so much for enjoying the cruise right along with me. Alaska was spectacular. We were on the Ruby Princess and it was first rate. We were catered to like royalty. Talk about natural grandeur! It’s kind of breathtaking. I’m not sure I’d be much good as a companion on a cruise like that. I have a feeling I might be permanently in a state of awed silence everywhere I went. Well you quiet… and me constantly behind a camera! HA HA HA!! What an exceptional good time for you! I especially enjoyed seeing your whale-watching. Excellent post. Thank you for sharing. Oh what a trip this was. A cruise where you are pampered and then the gorgeous sights. Purrrfect! And it was right after all of our hard work building the sunroom! Consider years ahead Nancy, and this wonderful website you have created that will chronicle all of your adventures. Exactly! You have me pegged quite well! Great minds think the same… they say!